Order 100 or More Silicone Wristbands & Get 100 More For FREE! These are, by far, our most popular wristband and for very good reason. With the debossed ink filled bracelet, your message, information or logo is engraved into the rubber wrist bracelets and then filled with ink. This means that the ink lasts for much longer, can withstand more wear and tear and stands out on the person that’s wearing it. If you are fundraising, the debossed ink filled bracelets make for the ideal fundraising wristbands as their superior appearance means that you can charge an additional $1 or $2 dollars to the selling price, therefore maximising your fundraising efforts. These bands are also super budget-friendly, starting at just $0.30 per bracelet. The embossed printed wristbands are another very popular style of wristbands that are similar to the debossed version except that your message or information is embossed onto the silicon wrist band and then printed on top of it. We have done many types of embossed printed custom silicon bracelets for different organisations, including their logos and text where required. These customised wrist bands are also very cost-effective and begin from only $0.30 per bracelet. Our range of printed wristbands is our most cost-effective choice, starting at only $0.27 per bracelet. With these custom wristbands, you can choose what text you want and we will print it directly onto the rubber wristband. While not as long-wearing as the debossed or embossed versions, you can still expect the printed custom silicone bracelets to last for a few months. The glow in the dark bands are an innovative addition to our range of personalised wristbands. By adding a phosphorescent chemical to the bands during manufacturing and exposing them to normal light for a few hours, these glow wristbands have the ability to glow in the dark. They are perfect if you are organising a night time event or party and will really ‘light it up’. These wristbands are also very budget-friendly with prices beginning at just $0.30 per bracelet. If you are looking to buy wristbands online and you’re not sure where to start, we can tell you that of all the wristband suppliers, we are the one company that can offer you quality products at affordable price points. With our range of cool wristbands, we can ensure that your event stands out for all the right reasons. We give you the absolute freedom to design your silicone wristbands however you want and we can easily include your logo or brand if you wish. We pride ourselves on the quality of every Australia wristband that leaves our store. At each step of the manufacturing, printing and packing stages, we ensure that our rigorous quality standards are met. The print used on the wristbands doesn’t fade and is also waterproof. With Wristband Monkey, you get high quality custom wristbands from Australia each and every time. If you are looking for personalised silicone wristbands that won’t cost you a fortune, Wristband Monkey can help you out. We keep our prices as low as possible and we don’t charge you any extra for your band artwork so that you can have cheap wristbands with compromising on quality. We provide our customers with standard shipping for free across Australia, ensuring that your order is with you within 10 to 12 working days. For deliveries that are needed in a hurry, we can organise for your order to process that bit faster so that you’ll have it delivered to your door within 7 to 8 working days at a cost of $149. When purchasing wristbands, you need to know that the custom rubber wristband that members of the public will be wearing is safe. Every customised wristband we produce is manufactured using silicone rubber, which is the same type of rubber that is used in baby pacifiers and bottle teats. Our bands have been tested on all different skin types and are 100% completely safe. How do you make an order? Ordering silicone wristbands custom designed by you is simple. You can place an order for wristbands online by heading to the ‘Order’ page on our website and submitting the details of the wristbands that you want. If you have any questions, you can live chat with us using the chat service at the bottom of the screen. We review and confirm your order within approximately 20 minutes after which we will send it to our design team. We will then send you an invoice for payment, which can be paid using either credit card or bank transfer, whichever suits you best. Once the artwork is confirmed and the payment has been processed, we will send your order to manufacturing which can take between 10-12 days to complete. Once we receive your order from the manufacturing plant, we will dispatch it to you straight away. It couldn’t be easier. If you want to contact us about placing an order or would like some more information on what it is we do, you can call us on 03 9558 8007 to speak to a member of the team. Alternatively, you can drop us an email at [email protected] or visit our Facebook page. We look forward to providing you with the highest quality and most affordable wristbands in Australia. Fill the DIGITAL DESIGN & QUOTE form (above) or the DESIGN YOUR WRISTBAND form (below) and Submit. That's it! Our designers will email you a FREE digital mockup with a quote. Do I have to pay anything? Nothing at all! It gets even better. You will get unlimited rounds of revisions + 100 FREE Wristbands (When you order 100 bands or more). Other businesses charge $10 - $70 for this service and we do it for free. Why is the Artwork FREE? Before we buy anything in life we like to see it, touch it, feel it, show it to a few people and get their ideas and feedback and... we understand that! That's the reason we offer the design service for free so our clients can see what they get without paying a dime. 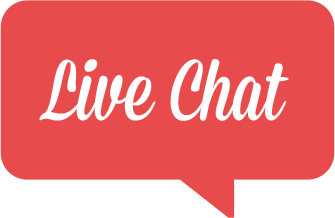 Any questions, use the Live Chat or Call us 03 8677 0886. Get help buying. Chat now or call 03 8677 0886. Premium Quality Wristbands. Min Order 50 Bands. FREE Shipping Australia Wide. Hey, go up and select a "Band Style" so we calculate the cost. If you need multiple sizes there will be a once off fee of $49 as we'll have to create an additional mould. Upload logos on Submit Quote Request (next) page. If you like the logo placed on both sides of the message, let us know in the comments field below. Need assorted colours or Pantone colours? Put them in the comments section below. Once you submit the order we'll design a FREE Digital Mockup. Please write your comments in the comments field below. You can have as many logos as you like for FREE. You can upload logos on the next page (Order Confirmation page). If you like icons, search them on https://Flaticon.com and let us know what you like in the comments section below. Deadline applies after the Order has been approved and paid. Please Fill the Required Fields Correctly. Enter all the other details and SUBMIT the order.